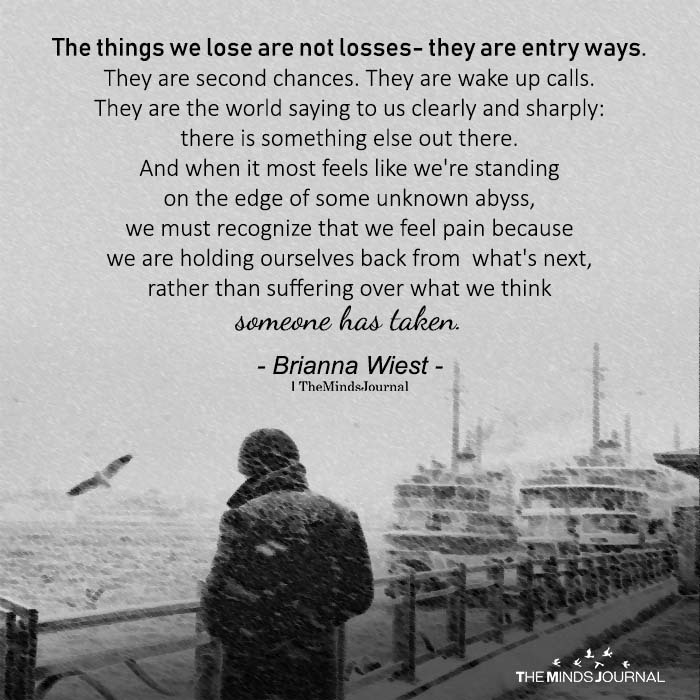 The things we lose are not losses- they are entry ways. They are second chances. They are wake up calls. They are the world saying to us clearly and sharply: there is something else out there. And when it most feels like we’re standing on the edge of some unknown abyss, we must recognize that we feel pain because we are holding ourselves back from what’s next, rather than suffering over what we think someone has taken.